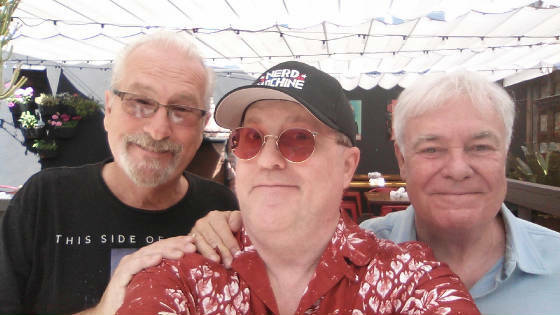 PART TWO: Timm McCoy (The Zone with Timm McCoy) spends the day with Jamie Alcroft (Mack & Jamie) and Philip Proctor (The Firesign Theatre) at he famous "The Farmers Daughter Hotel" located in Hollywood, California July 17th 2015. Open chat about life, fame, comedy and history. Please search "Boomers On A Bench" on You Tube, Tumblr & Vimeo and subscribe. PART Three: Timm McCoy (The Zone with Timm McCoy) spends the day with Jamie Alcroft (Mack & Jamie) and Philip Proctor (The Firesign Theatre) at he famous "The Farmers Daughter Hotel" located in Hollywood, California July 17th 2015. Open chat about life, fame, comedy and history. Please search "Boomers On A Bench" on You Tube, Tumblr & Vimeo and subscribe. SEE "Boomers On A Bench"